Myrtle Beach is known for its endless miles of oceanfront beaches, and of course the flat, fast, Myrtle Beach Marathon course. But tucked away between trees, just off of the Intracoastal waterway, is our own hidden trail running gem: the Horry County Bike & Run park. This unique park, also known to locals as "The Hulk", is located in Carolina Forest off of River Oaks Drive, and hosts over seven miles of mountain biking and running trails. 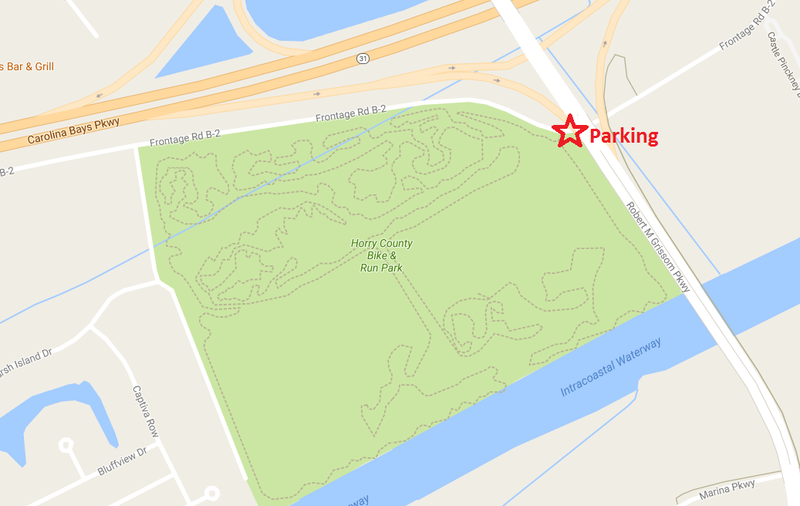 The Horry County Bike & Run park is located at Frontage Road B-2, Myrtle Beach, SC, 29579. 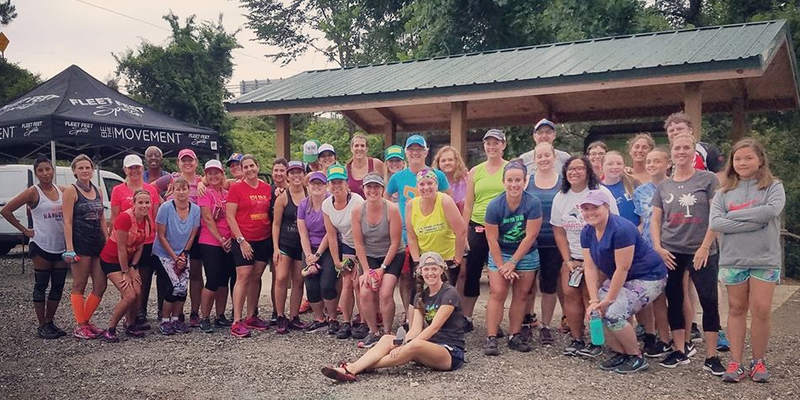 Every Monday night at 6:30 PM, Fleet Feet Myrtle Beach and our friends from Team Out of Bounds Ultra host a no drop, all paces welcome, trail run. This is the perfect time to test your feet on your first trail run, or for the experienced trail runner to put in some miles with friends. Can't make it on a Monday? 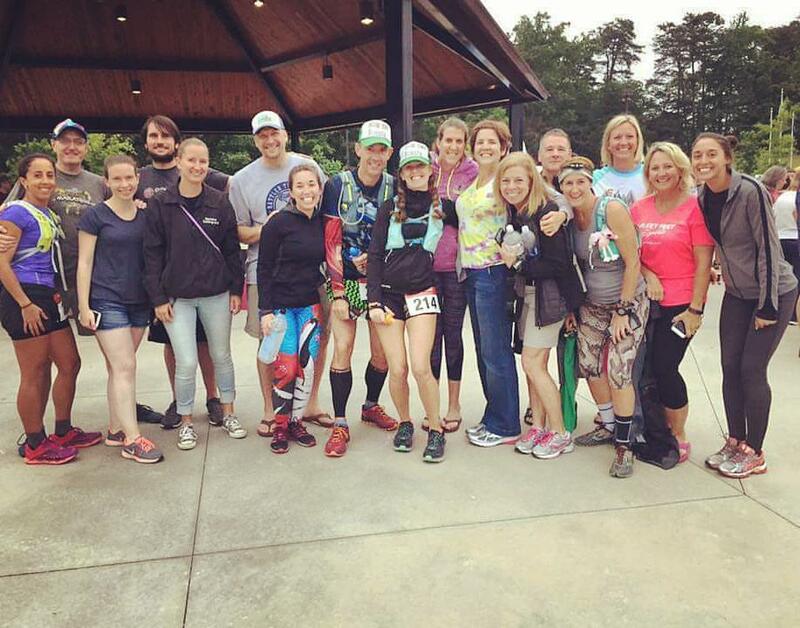 Team Out of Bounds Ultra members are typically on the trail 7 days a week, so if you are new to trails, or visiting from out of town, feel free to reach out to see what's going on! Email us at Heather@FleetFeetMyrtleBeach.com to find out the current group schedule. Current trail status and park closures can be found on the park's Facebook page or the Cape Fear SORBA page. Current group run schedules can be found on Team Out of Bounds Facebook page or the Fleet Feet Myrtle Beach Facebook page.